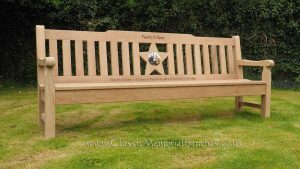 We’ve developed a lovely range of memorial bench designs for you to choose from. Many of these you won’t find anywhere else. 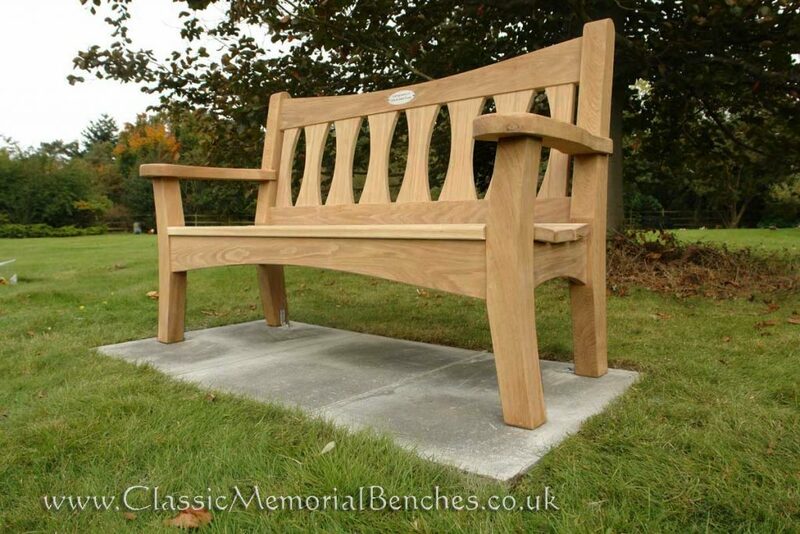 Each bench in our range has its own unique character and every one is built to our own high specification. 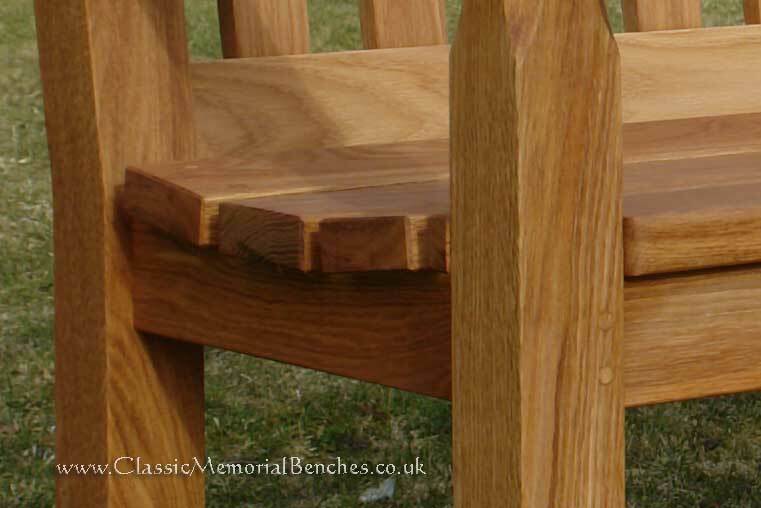 Generous timber sections are used to make each and every component. Typically on an outdoor bench for example, the seat slats and rails can be rather slender to keep costs down. Because the seat is the part of the bench that receives the most wear and tear, we use 32mm thickness timbers to ensure they last as long as our chunky rails, arms and legs. RIGHT: Our dipping tank containing the components for a Star bench back ladder. Solid oak is already a durable timber but we dip every component for several hours in a clear wood preserver. This means that even the newly cut mortise and tenon joints get saturated with preservative before assembly. This further serves to protect the bench against decay. Made from scratch at our Lancashire Workshop. We don’t assemble generic components imported from abroad. All of our furniture is manufactured from the raw material here at our workshop in Lathom, Lancashire. Chunky timbers are hand selected by our craftsmen who have an eye for detail and great pride in the furniture they produce. 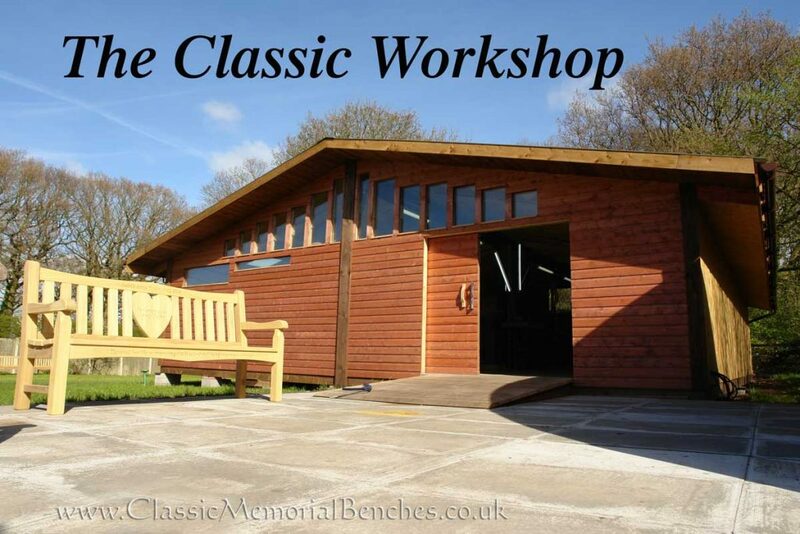 Classic benches are truly made in Britain. High quality resin glue, as used in the boat building industry and stainless steel screws are used to secure chunky mortise and tenon joints. 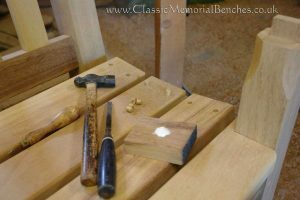 Deep screw holes are then plugged with grain matched dowels and shaved flush to the surface of the wood. 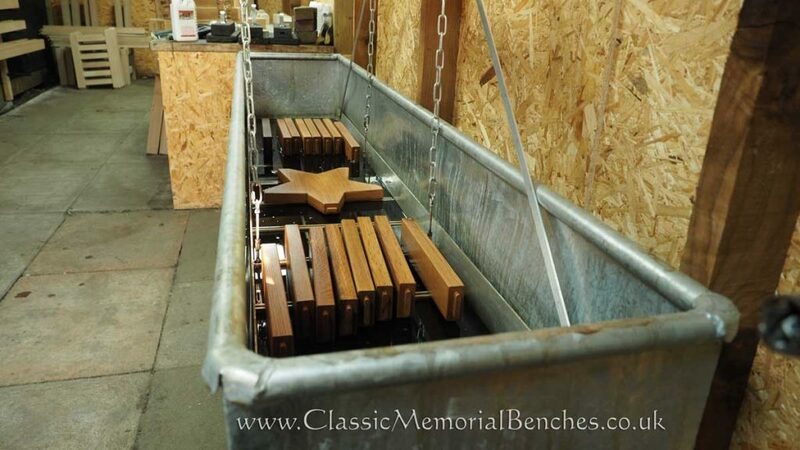 All of these details ensure your memorial bench will provide many years of active service. If our deliveries take us to your area we can take care of the entire process, right through to fixing the bench into position. Alternatively we can supply you with everything you need to fix a bench down to a hard or soft surface along with easy to follow instructions and advice. 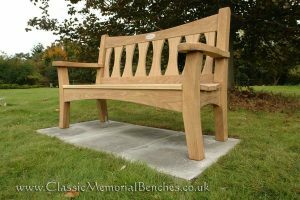 We provide a friendly, personal service and memorial benches can be tailored to your specification. Please feel free to e-mail or phone to discuss your requirements and be in touch with the carpenters who will actually be making this special piece of furniture. 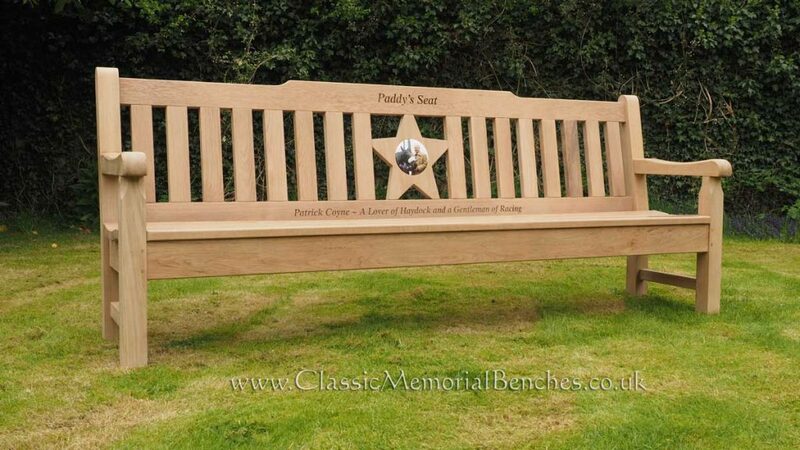 At Classic we’ll endeavour to manufacture a memorial bench that will exceed your expectations. We invite you to take a look at our customer testimonials.